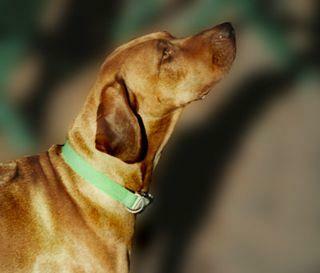 "Rhodesian Ridgebacks may stop passers by, but a liver nose Ridgeback stops the traffic!" (Or should that be the WOW Factor ! 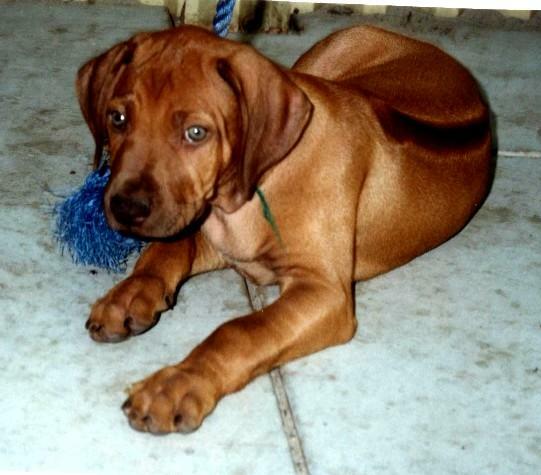 I not only breed black nosed pups but Liver nosed (BROWN)ridgebacks hold a special place in my heart ..having owned 7 of them . 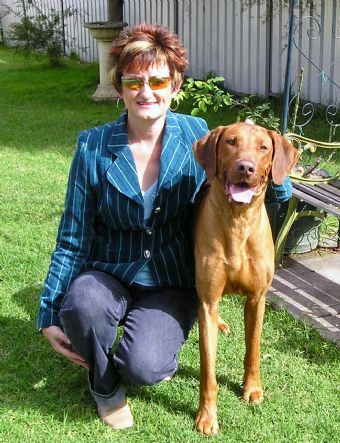 I believe that you have never truly owned a Ridgeback until you have been owned by the clown of the Ridgebacks a Livernose .I am also so please that they have become very popular in the rings now and lots of breeders who have never owned a livernose are now keeping them ..hey its only taken you 15 years !!! 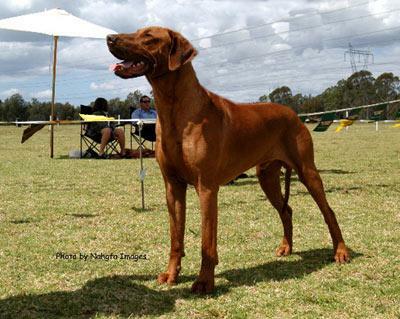 The temprement of a brown is very different to that of its blacknosed sibling ..
For us the benefits of using the brown nose are coat quality .In our experience , we have found them generally to be a little gentler, softer-natured dog they are more "laid back" and "funny" ,and have a real softer-side ..
Rhodesian ridgebacks can have one of two nose colours: black or brown (also called liver). The brown nose should be accompanied by an amber eye colour; the black nose should have a dark eye colour and the eye colour should be in line with the colour of the dog. Livernoses can vary considerably in the intensity of their nose and coat pigment,. 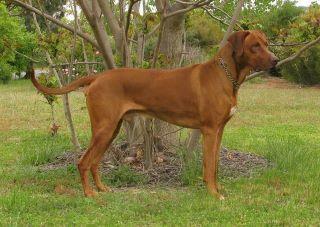 Both - black nose and livernose - are correct according to the standardof the breed. BROWN ? PLEASE EXPLAIN ! The livernose is seen less often than black nose simply because it is a recessive feature. 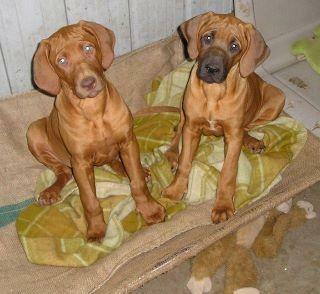 Both parents must have the liver gene and pass it on to their progeny in order to produce livernosed puppies. 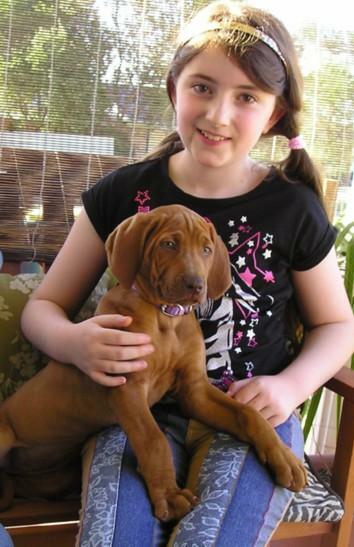 Black nosed ridgebacks can produce liver puppies if they carry the liver gene along with the dominant gene for black; to produce livernose puppies, they must be bred to either a livernose or another heterozygous black nose – that is, one that also carries the livernose gene. 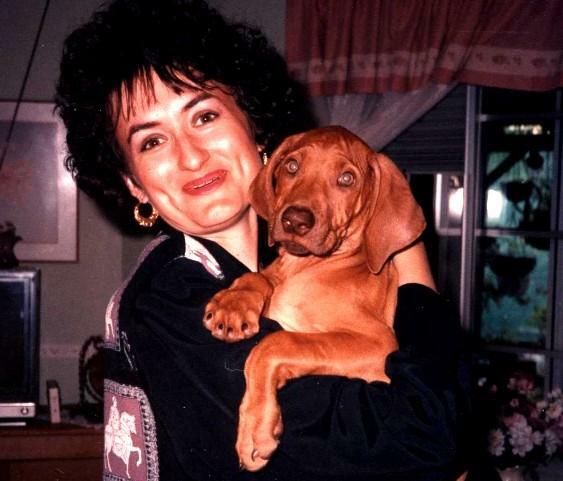 Two homozygous black nose ridgebacks will not produce liver puppies.